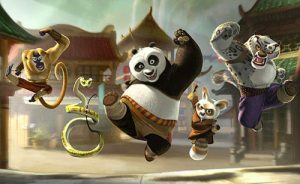 I am a fan Kung Fu Panda. I thought it had a lot of heart, great voice acting, and some exquisite visuals and CG. I have been looking forward to a new one. Below you will see the short 30 second teaser trailer that will air during the Superbowl along with an official plot synopsis. Love the music they picked for this. This entry was posted on Tuesday, February 1st, 2011 at 11:35 pm	and is filed under Film, News. You can follow any responses to this entry through the RSS 2.0 feed. You can skip to the end and leave a response. Pinging is currently not allowed. « Joseph Gordon Levitt In Talks To Join Cast of The Dark Knight Rises!!! For Which Role Though? ?